Open Source Capitalism is the convergence of political, economic and social systems into an ecosystem of mankind whereby human potential can flourish at its highest level. This revolutionary platform creates an investment vehicle to aggregate and operate start-ups worldwide. In so doing it allows worthy innovations to thrive, reinventing the innovation industry itself by solving fundamental problems with fundamental solutions. This description and the following information does not represent an offer to sell or a solicitation of an offer to buy any security. Such offers would be exclusively made using a Private Placement Memorandum and only in states in which the offering of securities is registered or exempt from registration and only by an individual or entity authorized to do so. This This description and the following information does not include a complete description of the risks and disclosures customary with a private placement investment. Such disclosures would be available via the Private Placement Memorandum, which should be carefully reviewed before making an investment. Dan Schmitt, a repeat Inc. 500 winner and one of the country’s foremost experts on start-ups, founded the Incubation Factory (TIF) with the intent of creating a process to scale innovations en masse. Schmitt combined $25 million in personal investment, more than twenty years of direct experience in founding early-stage companies, and extensive research into the best practices of the country’s fastest growing companies to prove out The Incubation Factory model and to build the Open Source Capitalism platform. A handpicked Executive Team with extensive early stage experience leads the Incubation Factory. The company is developing a Global Advisors Board consisting of world thought leaders in their respective fields. These teams will be brought together to govern the national and international growth of The Incubation Factory. Creator of “Open Source Capitalism”: a viable alternative to Wall Street, which allows investors access to opportunities not previously available. Creator of the “Assembly Line of Innovation”: a business model development process that builds companies around technologies in a scalable fashion enabling commercialization of worthy innovations en masse. Creator of the “TIF Branch”: a shared-value, economic development cluster, designed to create economic and social benefits under the Open Source Capitalism platform. Creator of the world’s first Global IP Syndicate: a process to import and export validated intellectual property among established partners. Creator of “Open Source Financing”: A specific mechanism that insures investment is governed for profitability, accountability, and transparency. There is no capital available for innovation. Our economic engine has devolved from a productive form of capitalism into finance capitalism, where money is made in the movement of money for the sake of money, and not in the creation of valuable of goods and services. The one percent is simply not able to create enough opportunity for the ninety-nine percent to thrive. Innovation is the engine that drives the global economy. Start-up companies are the place where new jobs and disruptive, opportunity-creating innovations are born. However, the current systems to support this critical portion of our economy are broken. While there are literally thousands of available innovations worthy of investment and commercialization, a massive funding gap exists that does not provide these brand new companies the air they need to breathe, thereby stifling innovation itself. Current investment systems for pre-revenue companies are insufficient and disorganized, resulting in a high failure rate and frequent capital loss. This deters repeat investment from critical capital sources and leaves others on the sideline. Investments in later stage companies get poured into the very few firms who need capital the least. This unfortunate, yet fixable reality leaves game-changing innovations to wither on the vine. In order to grow the Innovation Age economy, innovation is critically needed at the very foundation of our financial, operational and educational systems. Yesterday’s financial and operational solutions are inadequate to build tomorrow’s great companies. By institutionalizing lessons learned from “Inc. 500” successes and applying those principles to a little know cottage industry called Technology Transfer, The Incubation Factory properly addresses the needs and solves the inefficiencies of the current system. Using techniques prevalent amongst the fastest growing companies in the country, and then improving upon these based on real-world lessons, The Incubation Factory has successfully established the Open Source Capitalism platform to create the world's first "roll-up of start-ups," a system to aggregate start-up investment and management. 1993 – 2003: The Incubation Factory, the world's first Open Source Capitalism company, evolved from Anthony, Allan & Quinn, Inc. (“AAQ”) which was founded in 1993 by AAQ’s current CEO Dan Schmitt and two partners. AAQ successfully launched eight companies from 1993 to 2003, three of which grew rapidly enough to qualify for the Inc. 500 List of the Fastest Growing Private Companies in America. In 1997, recognizing a tremendous need and opportunity for streamlining back office claim processing for the healthcare industry, AAQ founded Advanced Business Fulfillment (“ABF”) to serve insurance companies, managed care organizations, HMOs and third-party administrators. By 2003, ABF ranked No. 23 nationally and No. 1 in Missouri on the Inc. 500 List. In July 2003, ABF was sold to publicly-traded WebMD for $260 million. Through this experience, AAQ performed an in-depth study of their Inc. 500 peer group- analyzing what made these companies successful as well as why other companies fail. These findings created an opportunity to introduce a paradigm shift in the innovation process, as it was discovered that companies make the same mistakes and missed out on the same opportunities across industries and businesses. 2003 – 2007: As a serial entrepreneur and angel investor, Schmitt realized AAQ could leverage its expertise in quickly and effectively building companies to provide a scalable model to enable new start-up companies to rapidly go to market or enable existing companies to rapidly launch new products and avoid the mistakes frequently made by start-up companies. The result was the inception of The Incubation Factory. From 2003-06, he created core service companies (providing Accounting, Legal, Operations, Human Resources, Account Management, Advertising and Promotion) to serve as Accelerator Companies for innovation. At the same time, he built a collaborative software platform to perfect the methodology for technology innovation and began incubation of fourteen companies to validate the Business Model. These lessons allowed for the identification of the highest probability for a successful outcome by translating best practices into a scalable platform which has been validated conceptually (based on best practices) and referentially (based on Kauffman studies) and in the field, (based upon AAQ’s application). 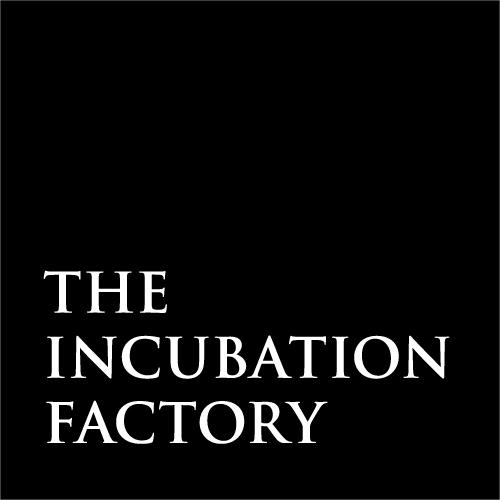 2008-Present: The Incubation Factory solidified a proven model for economic development and began to source technologies to create the world's first "roll-up of start-ups." To finish off the factory concept for innovation, we have assembled a management team consisting of executives and principals with extensive early stage experience, ranging from small start-ups to multi-billion dollar organizations. The Incubation Factory’s Assembly Line of Innovation scales the innovation process by transforming happenstance and disorder into actionable steps. The result is an integrated platform that contains proven operational strategies and processes that reduce risk, maximize reward, and shorten the cycle time from start-up to maturity. Utilizes proprietary trade secrets for finding and vetting innovations that typically have already benefitted from millions of dollars in research and development. Focuses on unattached technologies which allows The Incubation Factory to retain a larger ownership percentage for the same investment compared to traditional angel or venture-backed companies. Lowers burn rate as much as 70% versus traditional models via a streamlined launch. Enables the reduction in spending on any given technology, or a cessation of spending altogether, which provides greater flexibility over traditional venture-backed companies. Replaces industrial-age business plans and governance with an information-age business model development program. Centralizes back-office services and provides a custom web-based collaboration system to enable efficient start-up success and management. Aligns incentives at every level through an executive compensation plan that ensures “skin in the game” by limiting executive salaries and emphasizing success-based compensation. To scale its business model, The Incubation Factory is organizing a national and international network of TIF Branches. Each branch will be fully supported by The Incubation Factory’s established operational process, and is designed to identify, launch, build and govern 20 technologies. Aggregating investment in start-ups, which will seek to both reduce normal risk and improve returns. Each branch will be partially owned by the iLEARN Education Fund. Distributions made to the iLEARN Education Fund will be dedicated to initiatives that develop human capital and entrepreneurship through the integration of business and education. What happens when the target market is not accepting of the technology as originally planned? What happens if the leadership team has no experience in the “new” market? How will these issues impact spending or potential success? What active role are the fund managers playing in guiding the companies? Are the incentives of the companies in the fund aligned with the direction of the fund? To exemplify these concerns, The Incubation Factory has spent significant time with several fund managers to understand the challenges associated with start-up funds. As an example, we met with the managers of a medical device fund who came across several of the aforementioned obstacles. The result was to fire the management of all fifteen companies within the fund. As one can imagine, the time, costs and efforts expended were all challenging to the funds success. The Incubation Factory’s approach is an evolved form of fund management. Its Portfolio Companies include governance through a virtual “C-suite” of executive managers at an operational level, avoiding the burden of a pre-existing management team. Each Portfolio Company follows our proven “assembly line” for commercial development. Additionally, The Incubation Factory institutes unique strategies and investor protections not available with typical investment funds. Different than typical alternative investments, The Open Source Capitalism platform provides opportunity to invest in a portfolio of start-up businesses, which provides for a diversification of risk and opportunities in a wide variety of industries. Commercializing any new technology is filled with risks at each stage of development. The Incubation Factory utilizes a Commercialization Platform designed to manage these risks from inception to maturity of a Portfolio Company. Furthermore, a traditional business plan contemplates a linear, defined path to market success. Given that innovation in the world today is neither linear nor defined, The Incubation Factory utilizes a pliable and iterative model that reflects the realities of introducing a new product to the market. The Incubation Factory leverages a business model with defined components - product, pricing, promotion, place, people, processes and profits - to implement a “go to market” plan. Evaluating these components of a business at each stage of commercialization creates a strategic framework for governance. The Incubation Factory also employs certain core strategies to successfully commercialize technologies. Core strategies effectively become the “assembly line” of a factory to achieve Vision and Mission. Based on the principles of Open Source Capitalism, every one of these strategies is managed for transparency, fairness, accountability, and profitability. We have proven that this approach turns "the art of the start" into "the science of business model development." The red blocks on the left denote negative (or total loss) returns for start-up investments versus a low rate of large returns (30x investment) depicted in dark green. The chart on the right demonstrates applying the TIF model given the exact same start-ups as depicted on the left. This demonstrates that methods are available which allow all investors to win by normalizing returns via a first of its kind system of start-up management. Real world data proves that if you invest in a single start-up, you will lose your total investment MOST of the time. This limited but accepted method has effectively made investing in start-ups a form of legalized gambling. The facts are that most start-ups don’t provide a good rate of return on an individual basis. In reality, stuffing money in a mattress is better than the process of emotionally attaching oneself to the start-up entrepreneur who fails to deliver on investor expectations, and his own, 95% of the time. Mathematically speaking, start-ups are over-valued by their founders by as much as 80%. The result is that Investors, like angel groups throughout the whole country, experience “investor fatigue” and quit chasing start-up successes as the stress simply isn’t worth the effort. Thus, angel investor group membership constantly dwindles as angels vet out hundreds of deals to pick one and then, despite all the work and careful effort, still fail most of the time. That said, data proves that everyone should invest in start-ups, but in a new way. In a study of 1,137 start-up exits via angel groups (see attached report), it was determined that the aggregate internal rate of return was 27%. This is a staggering metric when compared to traditional stock investment or even well-performing mutual funds. Thus, the answer becomes to invest not in one start-up, but in a roll-up of start-ups. Over the next year, The Incubation Factory's Open Source Capitalism platform will develop a portfolio of 240 start-up companies, coupled with an investment vehicle to deliver fair, normalized returns to all levels of investors. This solution will, for the first time, provide a responsible path to bring much-needed capital back to the critical innovation industry. Save the entrepreneur, save the world. In just 25 years, the number of billionaires on this planet has grown from 140 to over 1200. At the same time, real wage income has either declined or been stagnant as the middle class erodes. This puts downward pressure on the 99% who are beginning to either lose hope or are beginning to self-organize to fight back. The inherent problems the accumulation of wealth creates and government’s inability to fix this problem leads to an interesting, but promising conclusion. Since entrepreneurs are the only ones that can fundamentally change economics on a worldwide basis, we must save the entrepreneur in order to save the world. The entrepreneur is the new soldier of freedom. Everywhere around the world governments, educational institutions and people from all walks of life are beginning to focus on entrepreneurship. Why? Because there is nothing else left to focus on. These institutions all need help. They need entrepreneurs. They rely on the creation of capital and the creation of valuable goods and services that an entrepreneur provides. Our political, economic and educational systems are imploding and the very institutions that are trying to protect it from imploding accelerate that implosion. They are turning to entrepreneurship for answers. Fortunately, entrepreneurs are ready for this assignment. The system of man is bigger then any one person or government body. We need a new system or else we will continue down the same cycle as we have seen over and over and over again throughout history. 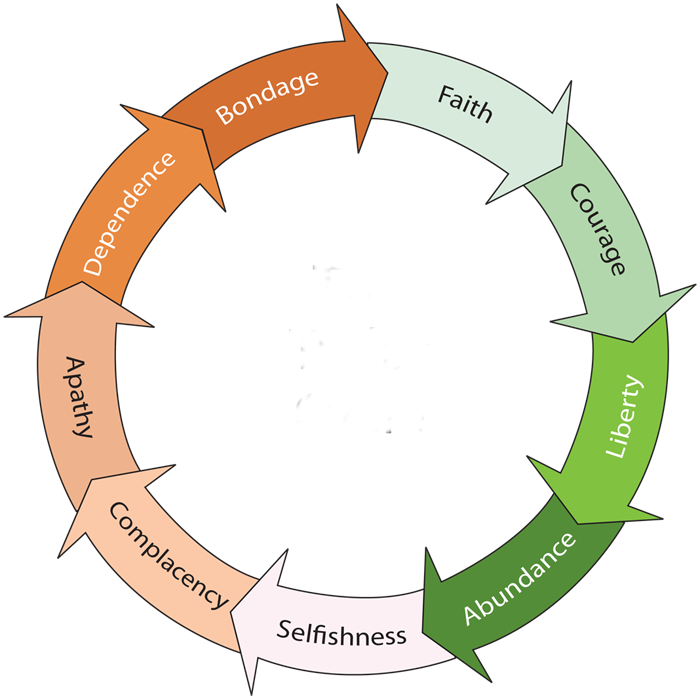 Unlike the past we have an opportunity to stop this cycle before it reaches its ultimate conclusion. In the last decade - and for the first time in human history - we are connected globally. For the first time in history, we have the opportunity for people to work together to solve the problems that their government cannot solve alone. For the first time in history, we can solve economic problems through cooperation, not competition. For the first time in history we can implement a worldwide system of collaboration, not a command and control hierarchy. For the first time in history, we have the tools to give power back to the people to solve mankind’s problems by the people and for the people. And for the first time in history, most people want this change. Mankind has been suffering the same cycles of self-destruction over and over and over again since the dawn of our existence. Albert Einstein said the definition of insanity is doing the same thing over and over again but expecting a different result. Since entrepreneurs are the only ones who do things differently, either you are an entrepreneur... or you are insane. So it is our mission to enable everyone with the tools to become an entrepreneur. We have an opportunity for the 1% and the 99% to work together to solve these problems and stop this vicious cycle. As society realizes this and implements a new economic system to support worldwide entrepreneurship- the world will go through a transformation never seen before in our existence. Entrepreneurship will advance our evolution and our evolution will reform education and we will be enlightened in a way that brings us all back to the heart of what really matters. What really matters is human development, not regurgitation of facts or test scores. What really matters is that we become who we really are, not who we think we are- defined by money and power. We - through cooperation, not competition; through collaboration, not hierarchies - can eventually transform economics in such a way that money is no longer the goal, no longer the destination, but rather a simple tool- a tool of capitalism for the good of our individual and collective freedom. When that day comes, we will not recognize it as something "new" - we will awaken to realize we have finally arrived home.